We do not plan to have long vacations. The MLO team still has so many interesting and useful things to do for our users! We are taking into account all the versions of MyLifeOrganized, so here is a little information about each of them. Now we are working on stability improvements, using of PUSH technology for sync in a sleep mode, settings of individual reminders. Soon we’ll make it possible to use templates while creating profiles, for example, GTD. We also want to improve the calendar view and allow users to track their productivity in the previous weeks. MyLifeOrganized extends the family of apps for Apple products. Our next update will affect not only familiar MLO for iPhone and iPad. We are going to add MLO for Apple Watch, which is under active development right now! Ten years ago, MyLifeOrganized for Windows became the first product for task management by MyLifeOrganized, which entered the productivity market. 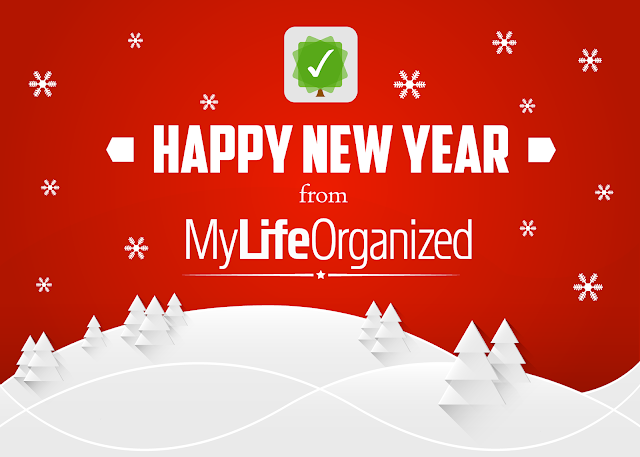 And now we are preparing the fifth anniversary release of MyLifeOrganized for Desktop. You will get a streamlined interface, task counters, and other new features of which you have requested. Great product! Any way you can add a 'comment' functionality to tasks? Basically to keep notes on the progress of a task. Tasks already have a 'Notes' property, which can be used to track progress. Would a 'comment' function be different in some way? Looking forward to the new Desktop Version! Could you please give me an estimation of when will the version release? Windows 10 Surface Pro user here...and hoping the update supports touch a little better. Long time user! How well does it work on a Surface Pro 4 with touch?